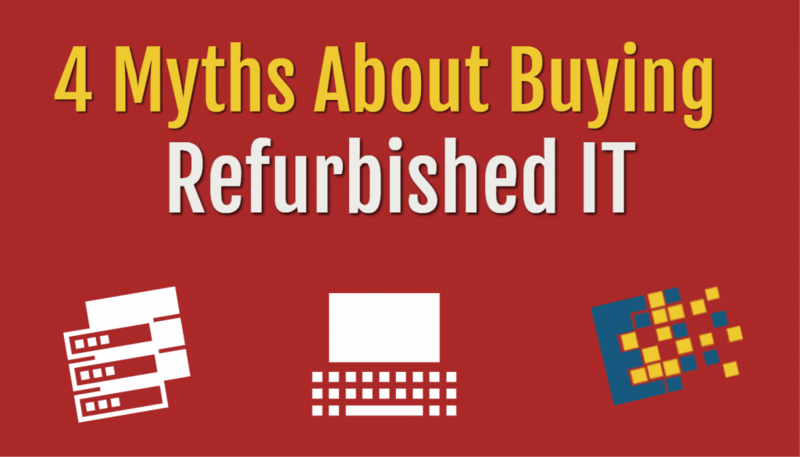 While buying refurbished IT can mean amazing savings, it tends to carry a negative connotation. It’s as if “refurbished” somehow equals inferior or outdated. 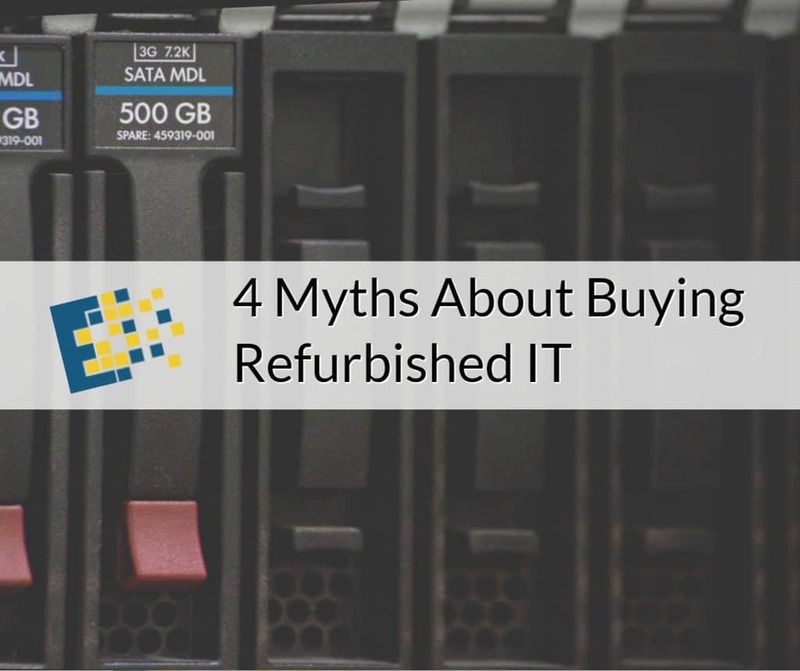 However, this article will reveal 4 myths about refurbished IT and may help change the idea that it is “worse than” buying new. The good news is, finding a cost-effective solution doesn’t have to mean getting burned by a faulty item. A common myth is that all refurbished hardware was once defective. However, anyone who has ever worked in retail, or even returned something to a store, knows that is not the case. Many retailers offer a grace period for returns. Electronics in particular are often allowed a 30 day return policy. The reason for most returns is not related to a defect, but to buyer’s remorse, finding a better price, or disinterest in the product. Products may also be labeled as refurbished for being overstocked when the next generation is released, or being a demo unit in a storeroom or tradeshow. Occasionally a product may become refurbished due to minor exterior damage from shipping. While this can be a deterrent to some, it’s actually a great way to save money on a fully functioning machine. This is not to say that products are never returned because of defects, or even that all refurbished products are worth buying. However, when you buy from a trusted company, refurbished is a great way to find new and like-new items at much lower costs. After all, IT equipment may be marked “refurbished” simply for being opened, though generally the phrase new in box is often used. Even when a product has a defect, it is not resold that way by a reputable company. A true refurbishing company will have engineers to diagnose, rebuild, and replace parts before putting them back on the market. They are thoroughly tested and verified and will be just like new. Finding a reputable and authorized dealer means quality assurance and restoration, as well as receiving products and parts direct from the manufacturer. Manufacturers and authorized dealers will most often guarantee their refurbished products. A warrantee can vary but a 90 day warranty is fairly standard with the purchase of a refurbished product. Most companies will also offer further protection with extended warranties. If your refurbished product were to fail, you are guaranteed either replacement, repair, or your money back. This will generally cover all shipping fees and part replacements, as well as labor for any repairs. An extended warranty is a great way to go when buying refurbished. It protects you from possible problems and is more often still less expensive than buying non-refurbished. A refurbished PC may meet with Microsoft Windows licensing requirements, depending on whom you purchase from. If you purchase a refurbished PC from a third party, it may already have programs or operating systems installed – with this, you must also be careful to avoid a software piracy situation. It is much safer to purchase from a reputable and authorized company. A new Windows license is not required for a refurbished PC when it has the original recovery media or disk based recovery image associated with that PC. If it has the original Certificate of Authenticity for a Windows operating system, you don’t need to purchase one. 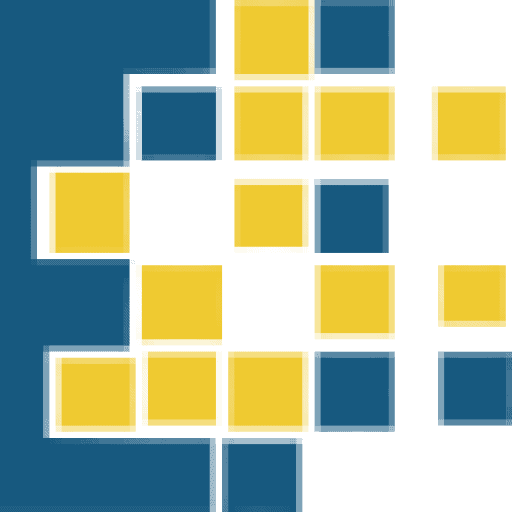 A Windows license must be purchased if it does not match the other situations and you must be sure the company provides a microsoft refurb license. While it is true that some schools and libraries lean toward refurbished, they are not exclusively for public use places. Refurbished computers are a great option for any enterprise or individual. You can find the same machines to fit your performance and storage needs and can even request custom configurations from true refurbishing companies.